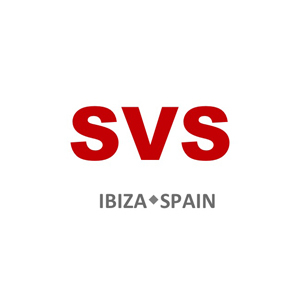 Sonic Vista Studios is the premier recording studio on the island of Ibiza, and it is run by the inimitable Henry Sarmiento, writes Dave Robinson. Born of a Colombian father and Swedish mother, this New Yorker hitchhiked out of the city to his first gig as a teenager. Hanging around the loading dock during the 'get in', Henry offered to lend a hand – and before he knew it, found himself touring with psychedelic rock band Max Creek. "That was totally inspiring at the age of 15," he says. How did you end up in Ibiza? "In 2003 I came on holiday for a week, a year later in 2004 I decided to open up a 'mastering' studio here. That was the tag, if you will, because I didn't want people to think I was on some kind of ego trip!, I still did everything else – recording, mixing, programming. I brought some clients with me from the States and within three weeks of being here the doors were open and I was working. "My placement here is strategic – I knew that the island is in a key location in Europe , just like the Phoenicians recognised 2,600 years ago." "It's a 400-year old villa, which would have been the 'nobleman's house' back then: you can tell because it is on top of the hill and has two storeys. When I was looking for a place, I wanted five bedrooms, a swimming pool, and the internet. The internet as a priority, in fact! Someone in Ibiza Town put me in touch with the owner of this villa; I saw it and went for it. It was destiny." You're very much about 'focus' but Ibiza is all about 'party'. Is it difficult to maintain a professional edge on this island? "People do come here with a business venture but find it a lot harder than they first think. But, as they say, if you can make it in New York you can make it anywhere. If you can make it in Ibiza, you can definitely make it anywhere – I mean, we're on a rock! Focus and punctuality and being professional – that way I get to work with major artists from around the world." "And Lady GaGa was here. She's extremely detailed - and all about the music. She came here in the morning with [producer] RedOne, they worked all day in the studio, right up until 30 minutes until their show started at [nightclub] Eden! They wrote and recorded Alejandro here, on the Fame Monster album. Their phones were blowing up but they just ignored them to get the track done. The studio was floating – you could feel the energy as they were making the track. "And the Swedish House Mafia - when they're in Ibiza, they call me, come do some writing and recording, then fly off. They're busy guys." When you came over from California what did you bring with you? "A Roland digital chorus DC-50 used by the Grateful Dead – but only once, I think! I'm good friends with [the late] Jerry Garcia's personal manager, one day he called me up and said 'Henry! Come to the warehouse, bring your truck!' I knew they were cleaning up but, I thought, this must mean something. So I went over and he gave me a bunch of stuff. Very rare stuff. Of course, if you put Jerry Garcia's DC-50 on ebay it would go for thousands, but I've kept it. Then I brought two Massenburg GML82000s and my Millenia Media TCL2. Other gear I bought in Spain and London." "Me. I'm kind of like Rick Rubin in my approach: turn up in a villa or house and find the best space. So I took this large room in the villa, put a wall in the middle, and built it to my spec. We're on a rock, don't forget, there's no one to support it here! "Then there's the drum room, which is the space under the swimming pool. It's an odd shape, a concrete 'hourglass' which is great for re-amping and room mics, it gives a perfect, but controllable, John Bonham-style tone. And the studio at the rear? "That's where Andy Taylor of Duran Duran is working full time. I hooked up with him about six years ago, because he had a Pro Tools rig but didn't have anyone to run it. We're finishing some recording right now, it will be an independent release with some serious cutting-edge technology." How has music changed on Ibiza? "So bringing back live artists is great: 50 Cent, Taio Cruz, Ms Dynamite, Jamiroquai with 7,000 people at Privilege... The faces on the billboards have changed now, there are DJs but now there are live artists too. It's good for the tourists, it's good for the island." What do you always reach for when you record? "The GMLs and the Millenia compressor. But I have two secret weapons too. One is a Harmonic Gate by KB Tech of Switzerland: it makes the perfect curve for the mains electricity, and creates more depth to the sound as the tubes in the analogue gear work better. Then, in the box, it's the Crane Song Phoenix tape simulator. Many people don't like to disclose that they use it but I do!" "I want one of those CLASP machines. That's a great device." If you wanted as good a studio as yours in the region, would you have to go the mainland? "I'd go to New York." Hang on, what about London? "New York has better pizza!"